Some applications require a stable, controlled flow to help avoid surges. Our Anti-Surge Compressor Recycle application helps ensure that a compressor doesn’t move towards a surge condition. When surges occur in an application they can cause flows to reverse. This not only puts key parts and components under stress but can also cause a build-up of heat and can start a cycle of further surges. 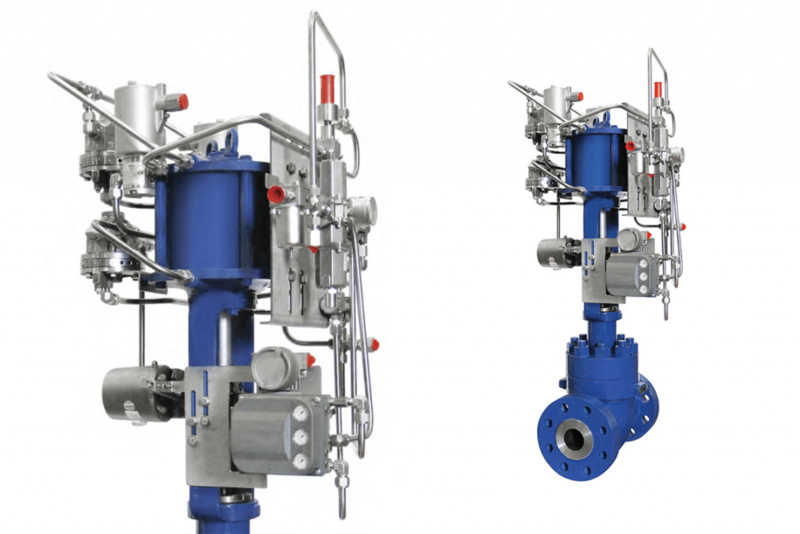 Although control valves are normally sized according to operating conditions and the need for velocity control, anti-surge is something that needs specific attention on certain applications. 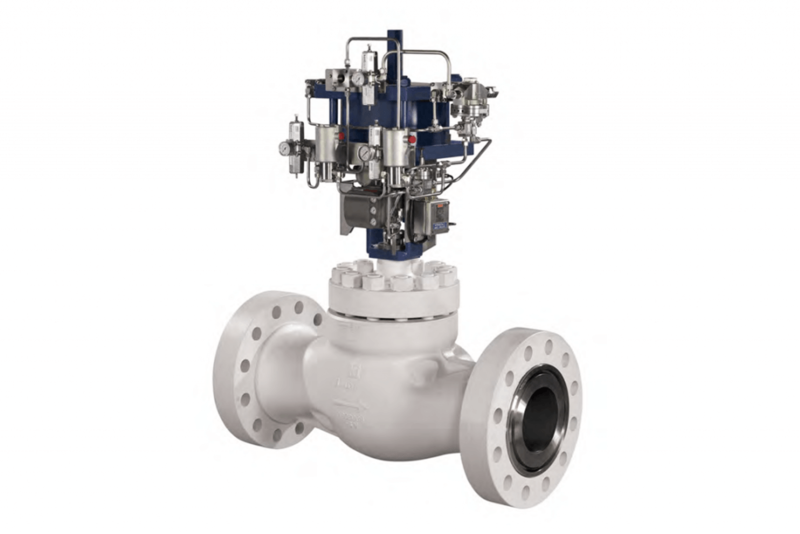 The valve must be able to control flow and avoid surges. As well as avoiding surges we often see other challenges in such applications. Noise is a common problem due to piping configurations which may be designed to minimise the footprint of the equipment. This, together with adverse operating conditions such as high pressure drops can result in vibration problems. Figure 1. Erratic response due to vibration. Figure 2. Trace after modification. An example of how we overcame anti-surge challenges. 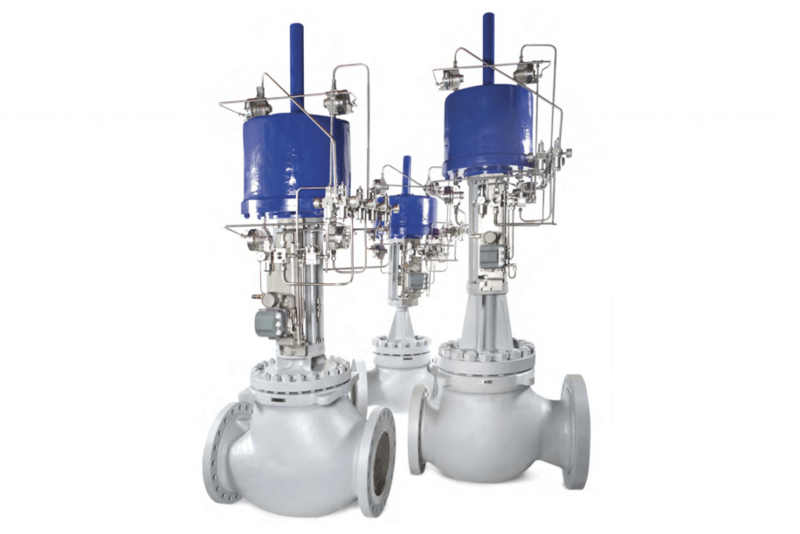 We apply a specific set of rules in selecting valves for this application. 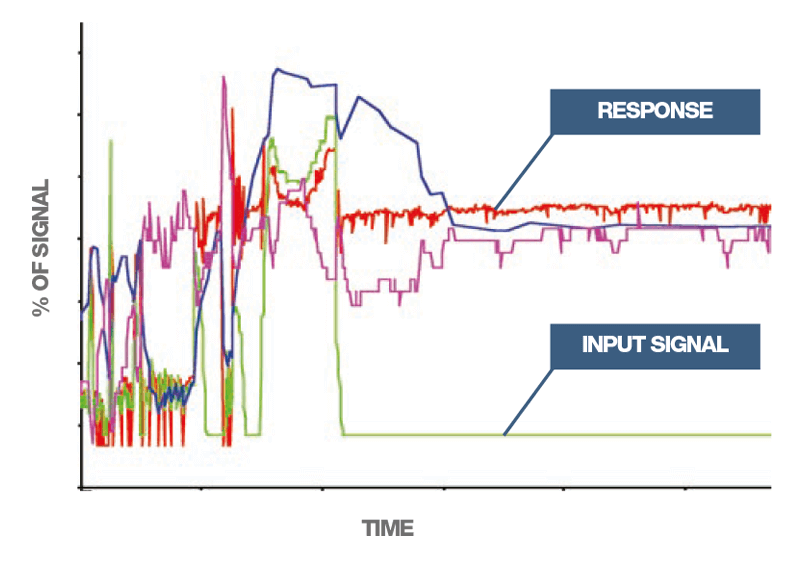 The graphs shown in figures 1 and 2 present traces of the actual valve opening conditions during a recycle operation. Under most of the operational range the valve control remained stable. The green and red lines are the input (instrument signal) and output (valve position) of the device. However, in certain instances, the response of the valve was erratic as shown in Figure 1. This shows that although the input signal (green) is requesting the valve to close, it actually remains open, as shown by the red trace. Corresponding with this occurrence was a sudden increase in SPL. This was not aerodynamic noise generation, but the result of high vibration levels at a discrete frequency due to fluid-induced resonance. In this example, numerous attempts at resolving the problem only partly solved it. A complete review of the process was undertaken, and various modifications to the trim design and guiding were incorporated into the replacement trim. The valve was put back into service and retested. 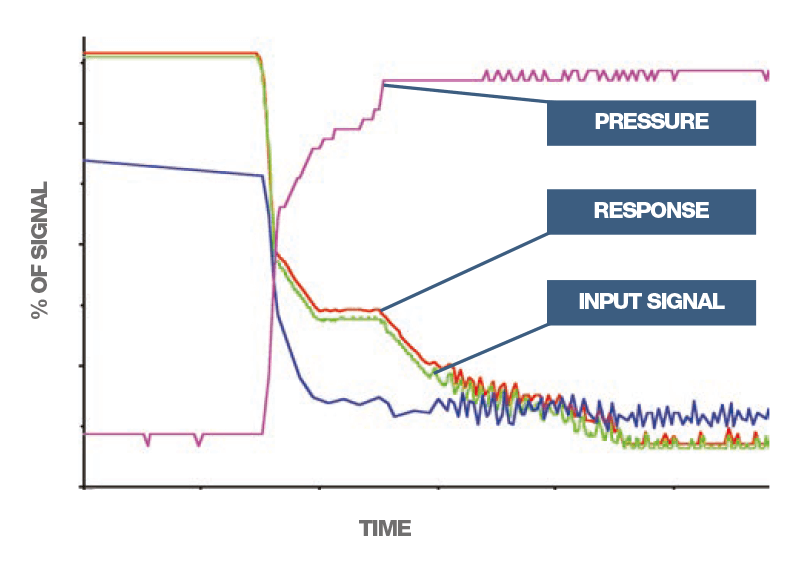 To verify the performance of the modification a slight sinusoidal signal was incorporated into the input signal. Contact us to discuss any applications where you require anti-surge and compression recycle equipment.